HDR means High Dynamic Range, and it is used in videos like movies. The HDR technology gives you a better vision of viewing your videos, allowing a well-defined color range and an improved video quality. This technology is supported by the devices which can play ultra HD 4K videos including larger screens on your TVs. However, the new iPhone 8 and 8 Plus have the HDR technology too. Now the iPhone users can watch their movies and videos with a better vision. Not only this, the HDR technology will give you an unusual experience of viewing videos and movies with a wide luminance range. But what happens when you want to disable HDR video downloads on iPhone 8 or iPhone 8 Plus? Don’t worry we will show you how to do this process. When HDR technology was introduced in the new iPhone 8 and iPhone 8 Plus, a lot of iPhone users searched about how to disable HDR video downloads on their iPhones. Although this was a good and improved feature, yet some people didn’t find it very helpful. There are two main reasons as mentioned below. The first reason was the storage problems. As mentioned above, the HDR videos are 4K videos and of course, these videos will take a lot of space from your storage. This could surely give you a lot of problems if you have a limited storage on your iPhone. The second reason is iPhone’s display. The HDR videos provide 4K video quality but the iPhone’s screen only have 1080p and its improved support. That’s the reason why this HDR technology is not very helpful for iPhone 8 users. That’s why people asked how to disable HDR video downloads on iPhone 8 or iPhone 8 Plus. If you are one of these people, we can help you. 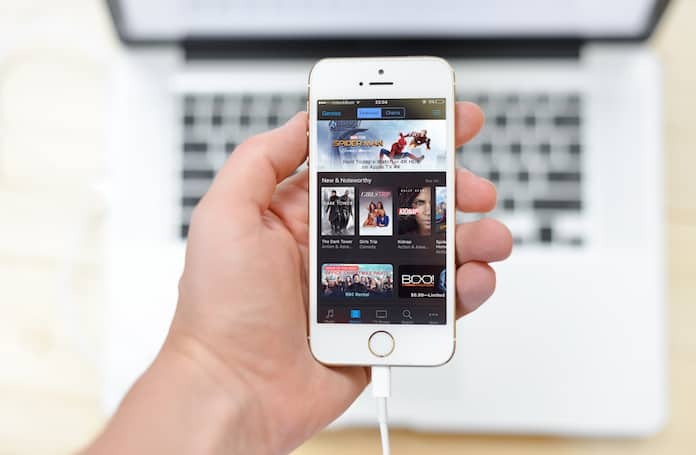 Here we will tell you how you can disable HDR video downloads on iPhone 8 and 8 Plus to save your precious storage. Just follow the step by step process mentioned below. 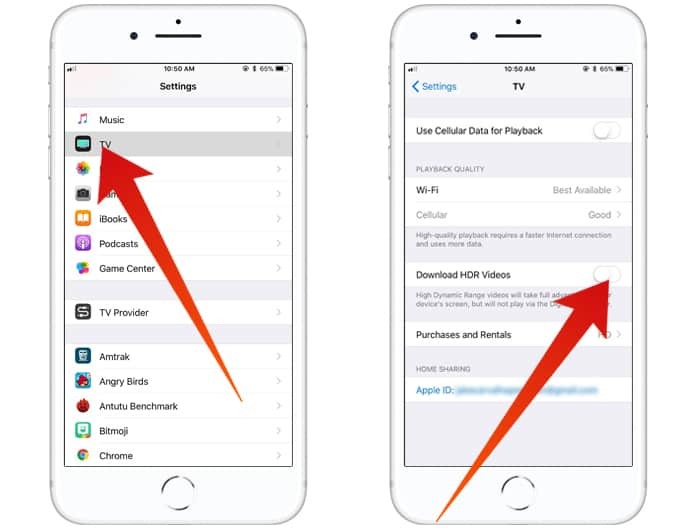 Step 1: Open Settings app on your iPhone and click on TV option. Step 2: Under TV option, you will see a lot of different options including Wi-Fi and Download HDR Videos. Click on Download HDR Videos! Step 3: Now the button will turn into gray color. It means this feature is off on your iPhone now. Now you can enjoy the regular quality videos on your iPhone. Keep in mind that if you need this feature in future, you can easily turn it on whenever you want.